If you take a quick look, you will find different models of Paracord survival wristlet kits in the market. The best part is that you will be constantly amazed at how many resources these things can have. Besides the fact that you get that extra piece of paracord which can be amazing is so many situations, you can also hang small stuff on it. When it comes to style, the best Paracord bracelet is woven using the cobra weave. However, there are other styles that offer the possibility to take more paracord with you. Also, paracord can be shaped in other useful gadgets like slingshots, monkey fists, pouches and so on. When it comes to the basic items that are either woven or attached to a wristlet, you will usually find: a fire striker, a whistle, a scraper, or a compass. 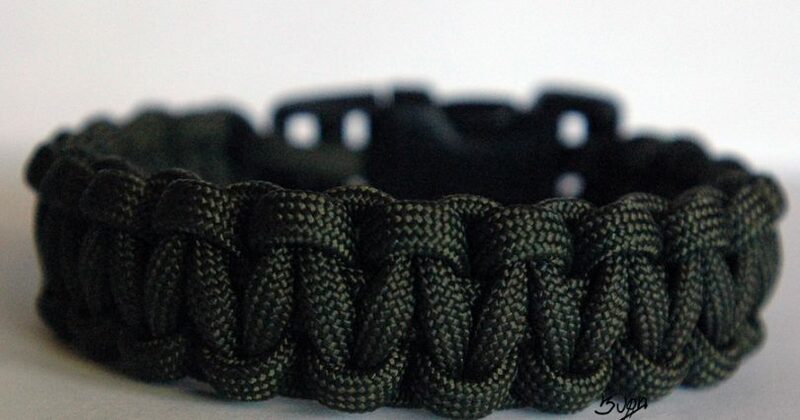 For tips and instructions on various paracord uses, see our article on this topic. The best wristlets are designed from material that has 8 inches to 10 inches of 7-strand Paracord. The outer sheath along with the inner 7-strands usually totals 64 inches to 80 inches of survival cordage. You can use this for different types of survival functions, such as fishing lines and snare sets. The model you choose should, without a doubt, be equipped with a compass, a fire starter and a whistle. Also, you should go for models that have high performing compasses. 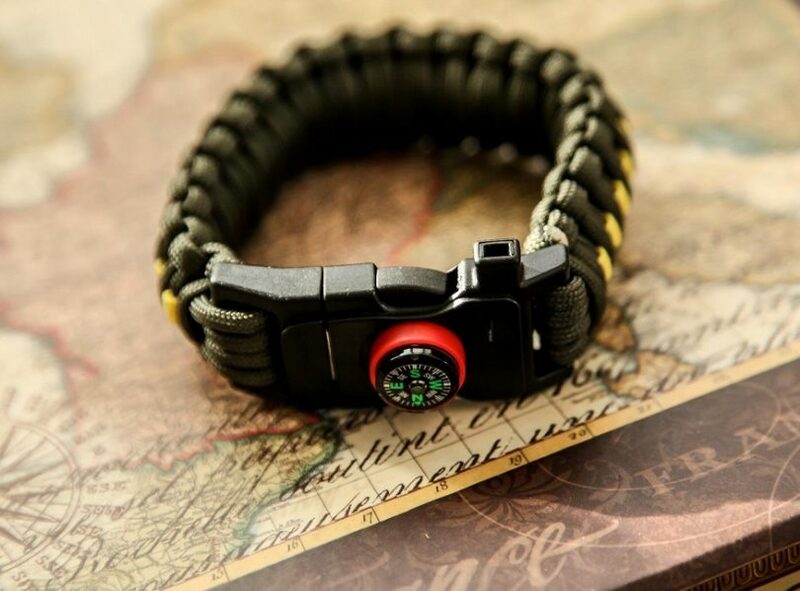 When you buy the bracelet, make sure that the whistle is loud enough in order to help you call for help in a bad situation without any problems. The best model that you select must be highly versatile and resourceful. You should go for a wristlet with the desired rated load – most of the bands in the market have true rated loads of 350 pounds and 550 pounds. Make sure that what is advertised is what the product can really support. Choose a model that opens up extensively when fully disassembled. There are some models that open up to 16 feet, while most of them open up to 10 feet. The wrist size is fundamentally important. Most models have a wrist size that ranges between 7 inches and 8 inches. However, there are some that have a wrist size of 6 inches while others have a wrist size of up to 9 inches. There is no better way to prepare for an emergency situation than fully packing your kit with the correct gear. 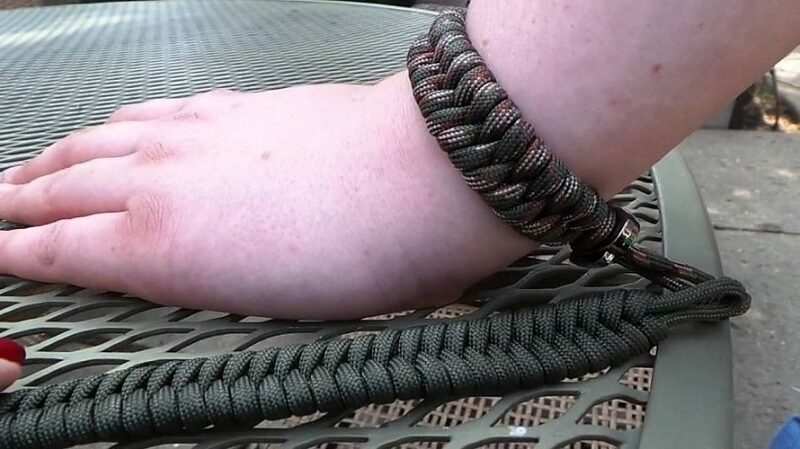 Gecko equipment King cobra Paracord survival band is a must-have accessory. This is a 9.5 inch premium branded model with a D-Shackle made of stainless steel, which fits perfectly fine for a wrist size that ranges from 7 to 8 inches. It is highly resistant and it is equipped with 7 inner strands that you can use to build snare traps, shelter, splints, a fishing line, and tourniquets. You can also use it to mark your trail and repair as well as secure equipment. It is truly an emergency gear. You can conveniently disassemble it to carry out various tasks in emergency situations. It is adjustable, making it the perfect choice for different wrist sizes within the stated range (7 to 8 inches). You will never lose it and it will always stay safe on your wrist due to a screw that locks it in place. You will love its color because it is attractive. Most people may insist that it is a better model for men; however, it is a good gear for women as well. It is definitely a good addition for anyone going hiking, camping, mountaineering among other outdoor activities. Pros: It has true rated load of 350 lb. and it is equipped with seven inner strands for multiple outdoor activities. Cons: Fitting and locking the screw can be challenging at times. This uniquely designed band ensures that you are always prepared for any unforeseen situation. This amazing piece is durable, fashionable, practical and ultraportable since it weighs only 0.15 lb. The design consists of high value 550 lb. rated load, which makes it highly resourceful and versatile. In any outdoor activity, you will always need to carry gears that are light. Holtzman’s Gorilla is specifically designed to be lightweight and compact, making it easier for you to carry around. You can find it in two distinctive colors, which are black or red. Therefore, you can wear it as an addition to your attire with respect to your color preference. Unlike most multipurpose Paracord bands, this particular model is equipped with a multipurpose buck. The multipurpose buck consists of the following: an emergency whistle, a scrapping tool, a cutting tool, a flint and a compass. You can use the whistle to signal out for help when you are cornered by a hard situation. This bracelet will beyond doubt come in handy when you are faced with an urgent situation. This is the kind of tool that you will want to bring to any of your outdoor activities, including: camping, hunting, mountaineering, trekking, fishing and hiking among others. Pros: It is versatile, resourceful, durable, practical and portable. Cons: The compass is not accurate as advertised. This is one of the best survival gears that you need to bring along when planning outdoor activities. It is a stylish addition to your attire and you can conveniently disassemble it in approximately 60 seconds. It is fitted with 10 feet cord and it has 350 lb. true rated load. Unlike most models in the market that claim they have a capacity to carry 550 lb. this particular model does guarantee a 350 lb. rated load. However, it can still carry up to 550 lb. Apart from it being a nine-inch premium branded; it also comes with a stainless steel D-shackle. The locking mechanism of this band is a screw lock. This ensures that it stays in place without falling off regardless of what activity you are engaged in at any time. Normally, Friendly Swede provides you with an additional screw. The wrist size is adjustable and not fixed therefore you can adjust your wrist size within the range of 7 to 8 inches. When you disassemble the bracelet, you will have a cord of approximately 10 feet in length. You are also provided with multiple colors and patterns to ensure that you survive in style. When you consider all factors, this is a high quality product to buy. The overlapping braids provide you with extra cord, which is characteristically strong. This model allows you to wear it under wet conditions without it getting damaged. The metal shackle is certainly robust and of high quality. It will always serve its purpose if you are faced with an emergency situation. Pros: It uses a screw lock, which ensures that it stays firmly on your wrist. 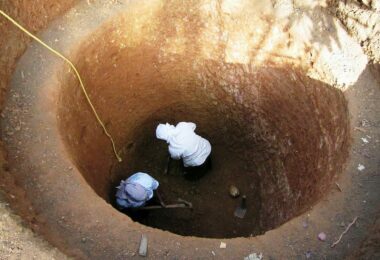 It opens up to an approximated length of 10 feet. Cons: If you do not maintain it properly the bracelet color will start to fade. This amazing band is truly designed for survival. 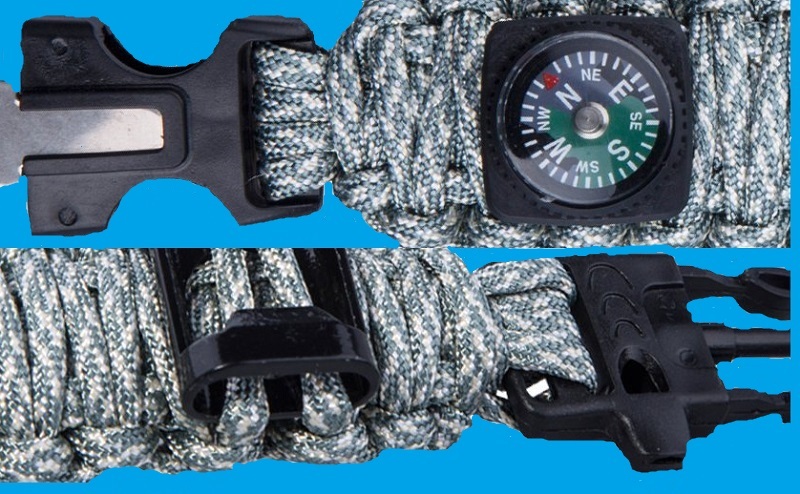 It is fitted with 550 Paracord that opens up to 16 feet in length. It is definitely an ultimate survival gear with the most extraordinary cord along with a fire starter and a scraper. You can use a fire starter to start a camp fire, cooking fire and so on. You can also use a scraper as a knife whenever you find yourself without one while in the wild. The cobra weave, which overlaps one another, is an ultimate design that does not only increase the size, but also doubles the cord’s strength. The cord itself is incorporated with 7 thinner strands that improve the functionality of the cord. Unlike most bracelets that have 2-inch adjustability. King Cobra has 3-inch adjustability that ranges between 7 and 10 inches. Therefore, you should not be worried about the size. It is a great survival tool in every regard. It comes with instructions, ensuring that you have no problems using it at any moment. In addition to a fire starter, it is also fitted with a toggle. Turning the whole thing in to a bracelet is unbelievably easy. All you have to do is fit the rod into the center position of the fire starter. You can thereafter adjust your wrist size by pulling the rope strategically. You will most certainly admire the simplicity of the design, especially the part where the manufacturer uses the fire striker as part of the locking mechanism. Pros: It disassembles into a 16 feet cord, its rated load is 550 pounds, it has a fire starter and it has 3-inch adjustability. Cons: The locking mechanism is not reliable as the screw lock mechanism. TTLIFE is an ultimate survival gear. This is the kind of kit that you can bring along when you are planning different outdoor activities. Such activities include but are not limited to camping, mountaineering and hiking. You certainly have not come across a highly versatile and resourceful tool kit like this one. 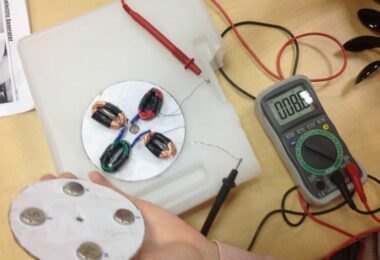 It has a three-inch width and it opens up to an extra-long cord that reaches a length of about 6 meters (19.5 ft.) when completely disassembled. The strand is engineered from high quality military grade 7-strand that has a rated load of 550 lb. The cord material is without a doubt of high quality because it is highly aging resistant and corrosion resistant. You are not confined to a specific size because you can buy this bracelet in different sizes. There is a large size of 8 inches, which is convenient for people with larger wrists. There is a small size of 7 inches, which is convenient for people with smaller wrists. The buckle is highly durable and it will without a doubt withstand the abuse of rough terrain. The buckle locks firmly and safely, ensuring that it will always stay intact without falling off. 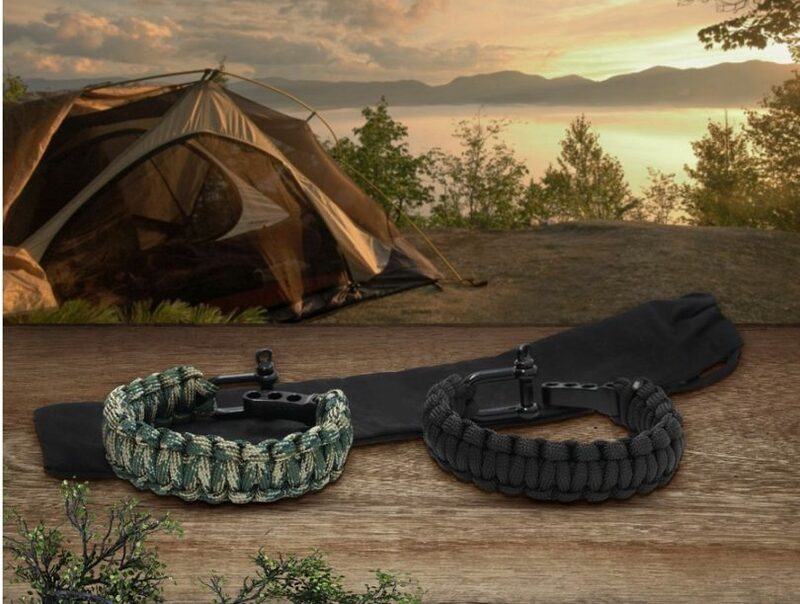 As you can see, there is no way you will be stranded when you bring this bracelet along whenever you go camping, or hiking among other outdoor events. Pros: It is a full survival kit with numerous accessories, including a compass, a fire starter and a whistle; making it a highly versatile as well as resourceful survival bracelet. Cons: There is no a wrist size that is above 8 inches. This is one of the most important gears to take with you when going camping, hiking and the rest. It is a distinctive model that adds beauty to your survival outfit. It is a colorful piece to wear with the stylish orange and classic black choices. It is premium by design given the fact that it is highly versatile and resourceful. a whistle that you can use to call for help. Apart from helping you with navigation, the compass is the locking mechanism for the buckle. This is exactly what you need to survive the wild. It is designed to support a weight of 550 lb. and it will fit perfectly fine on a 6+ inch wrist. The 10 feet Paracord that unfolds when you disassemble it provides you with more than enough rope for carrying out different activities, making it the perfect gear for backpackers. This is not just a piece that will be decorating your hand. It is a multipurpose band that you can use to find your way out of a tough situation. The guaranteed weight that is supported is 550 lb. but it can comfortably accommodate up to 601 lb. Pros: It has a premium design that includes: a compass, a magnesium fire starter, and a self-defense whistle for surviving an emergency situation. Cons: Not a very convenient model for a smaller wrist, because it may require some help to tighten it up. You do not have to be a hunter to know that you need to be fully prepared when planning an outdoor activity. Aegis Gears band is one survival item that should always be in your backpack. It is designed for day-to-day carry EDC gear and maximum versatility. 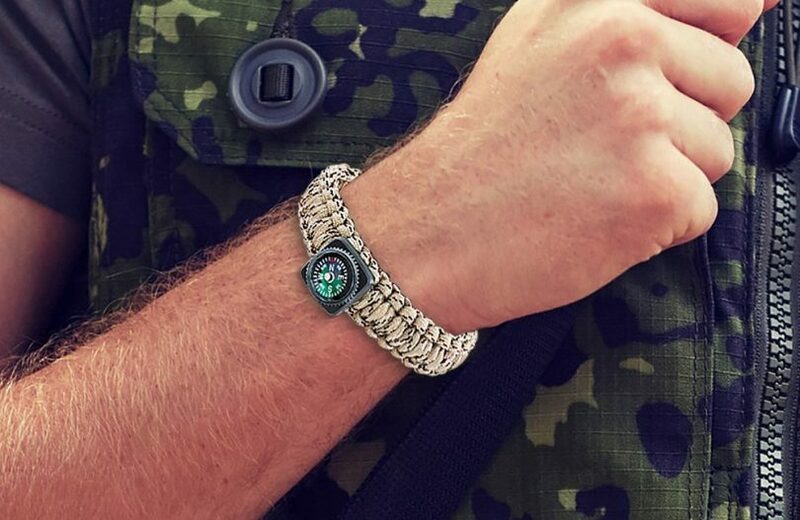 The bracelet is made of 12-feet of 550 parachute cord engineered from MIL-C-5040 type III interwoven with a king cobra pattern. This makes it highly water resistant, lightweight, durable and flexible. The rope’s rated load is 550 lb., convenient for creating tools for different activities. The most basic tools that you can make include: a climbing rope, hunting traps, and temporary shelter accessories. This uniquely engineered piece is completely adjustable and comfortable. You can adjust it from 6 inch to 9 inch in order for it to conveniently fit your wrist. It is fitted with the highest grade compass that can withstand any weather conditions and environment. You will always be able to use the compass, whether the weather is rainy or dry. It is incorporated with state-of-the-art fire striker kit. You will certainly be able to start a fire even after your matchbox gets wet due to wet conditions. The striker operates just fine, in fact you can use it to cut the cord whenever you find yourself without a reliable cutting tool. 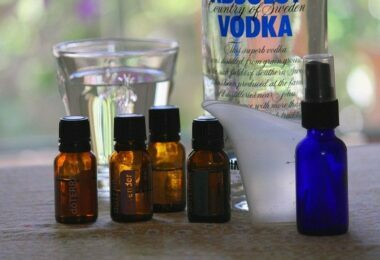 Pros: It is a fully equipped survival kit with a rated load of 550 lb. high grade compass, and fire starter for different outdoor chores. Cons: It is not a convenient survival band for people with small wrists. The manufacturer of this piece pays attention to detail and they are strict with quality control. This band is 100% hand knotted therefore you should not only consider it to be an emergency gear, but also a masterpiece that complements your outdoor activities outfit. It has a sleek as well as elegant design that definitely makes a statement about you as an adventurer, backpacker, and hiker and so on. This wristlet design is conformed to military specs, meaning that all the incorporated features are specifically included to help you survive any given situation. The 550 parachute cord is engineered from strong nylon that is integrated with a 7-strand inner core. The whole thing is waterproof, meaning that you can use it both in wet and dry conditions without it getting damaged. Disassembling it is easy – all you need is a few minutes to collapse it into 10 feet, highly versatile and usable Paracord. You can easily start a fire with the included stainless steel striker without necessarily having a proper lighter. The most amazing thing about the fire striker is that it is equipped with a serrated edge; hence you can conveniently use it as a cutter. You can use the serrated edge to cut the cord into desired thickness and lengths. You can always buy this band as a gift for a friend or relative, thanks to the stylish custom designed gift box. Pros: It has a premium and quality design for different outdoor activities. Cons: The fire starter is a bit smaller when compared to other models. 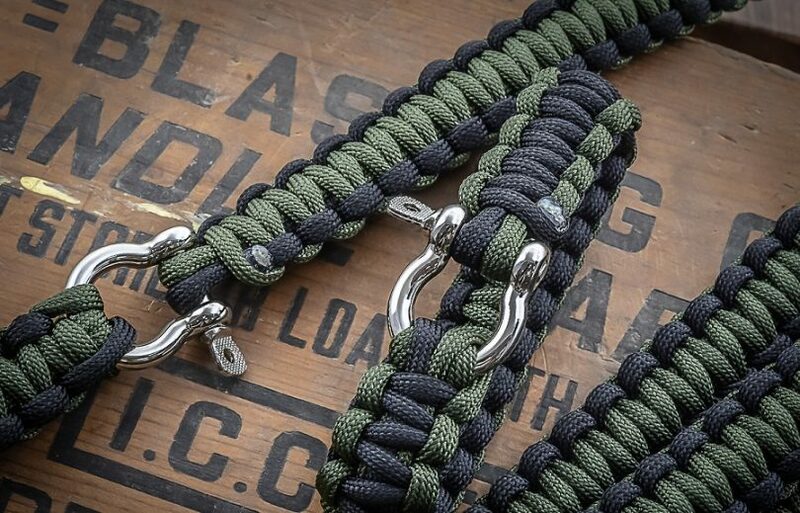 Aid & Prep is just what you have been looking – the complete paracord bracelet! You will certainly find similar accessories in other models; however, the ones integrated in this model are particularly designed to help you out of a bad situation as well as to prepare for the unexpected. The 3 most essential add-ons on this bracelet include: a whistle, a compass, and a fire starter. The whistle helps you reach out for help, the compass ensures that you never lose your trail and the fire starter ensures that you can always create a fire whenever you need it most. The 7 strands of the uniquely designed 550 cord disassemble into about three meters in length, which you can use to create a desired and most resourceful survival tool. The various survival tools that you can come up with include: a compression bandage for a bleeding wound; a life line for rescuing a drowning person; a splint for an injured arm; strands for repairing broken backpack straps; a hanging line for wet cloths; and strands for hanging a hammock. The end-to-end overall length of this band is 10 inches and when closed its inside size is 7 inches. This allows you to wear it as a true wristlet. Pros: It is a size 7, which you can opt to wear, belt buckle or hook to your backpack. You can also do so much with the 2.9 meters of rope when it is completely disassembled. Cons: It is not the best model for people with smaller wrists. If this is your ideal product, then find and buy on Amazon. Your choice of a good parachute cord wristlet should be guided by specific features followed by various emergency tools. Specific features that you should always look for are: the correct wrist size; disassemble length and color. 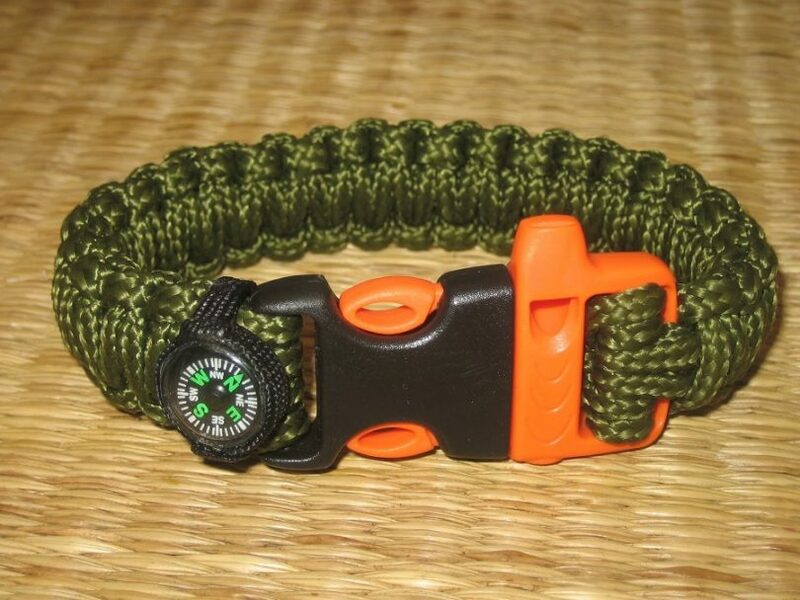 The emergency tools that you should have attached to your paracord bracelet are: a whistle, a fire starter, a compass, and a scraper (among others). By bringing together the best products on the market, we hope to help you with the necessary information you need to make a good choice. 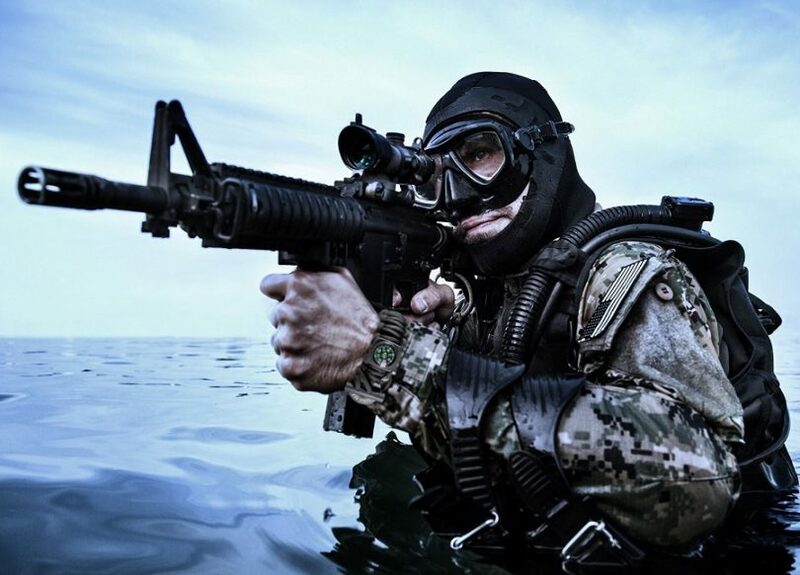 However, as long as you stay safe and always have your extra paracord on you, things should be fine. In the end, we have a question for you: did you ever used the paracord in your bracelet? If yes, for what? 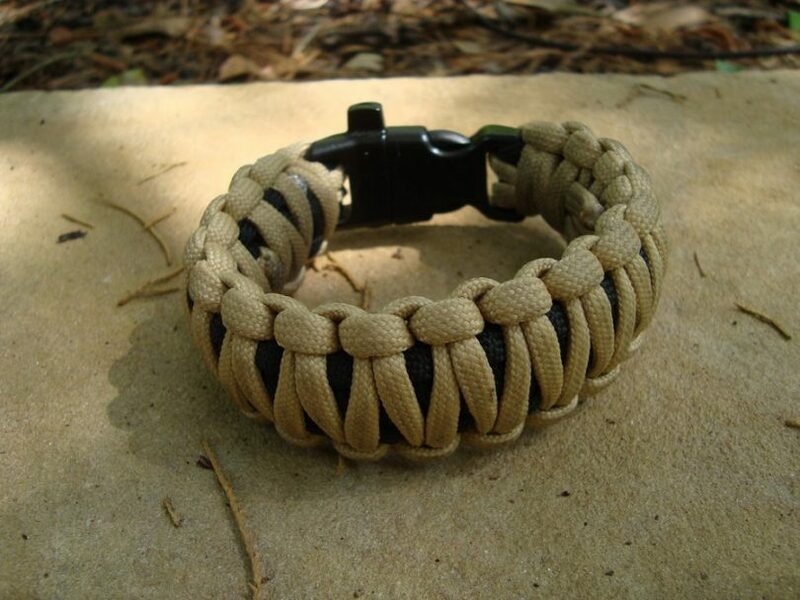 Check out our guide on the top paracord projects to help you learn more.